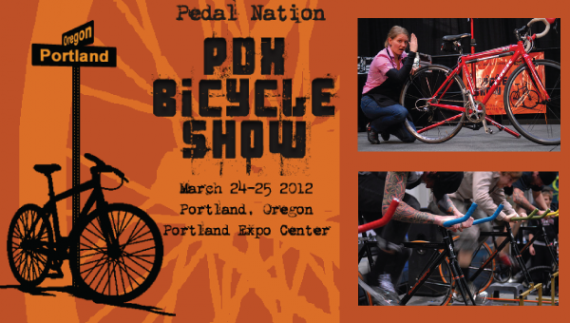 Bicycles are taking over the Expo Center for The Portland Bicycle Show, the annual gigantic bicycle exhibition. Companies come from all over the country to showcase their latest and most inspired products and ideas. The event is an opportunity to see, ride and learn all under one roof. Highlights include great deals on gear, apparel, accessories and equipment; the Hopworks Bar Bike serving beer all day long, a huge Oregon handmade bicycle show, the Pimp’d Bike showcase and seminars and workshops by local experts. Kids can test ride bikes and practice their beginner skills in the Little Nutty Kids Zone by Nutcase Helmets. There is also a test ride demo area for adults. Hang out, browse the booths or check out the special features like the Urban Riders Fashion Show, Gold Sprints Roller Races, bike fitting Demo by Sunset Cycles and demos by professional free-riders, BMX flatlanders and professional trials riders. Don’t miss this annual extravaganza of the very coolest in bike accessories, action and companies.